Delving into the life of frontman Freddie Mercury and Queen, Bohemian Rhapsody chronicles the crazy and momentous years leading up to the legendary band’s Live Aid concert in 1985. Director Bryan Singer orchestrated the film for a large chunk of production until falling out of the picture due to personal issues in which Dexter Fletcher took over. 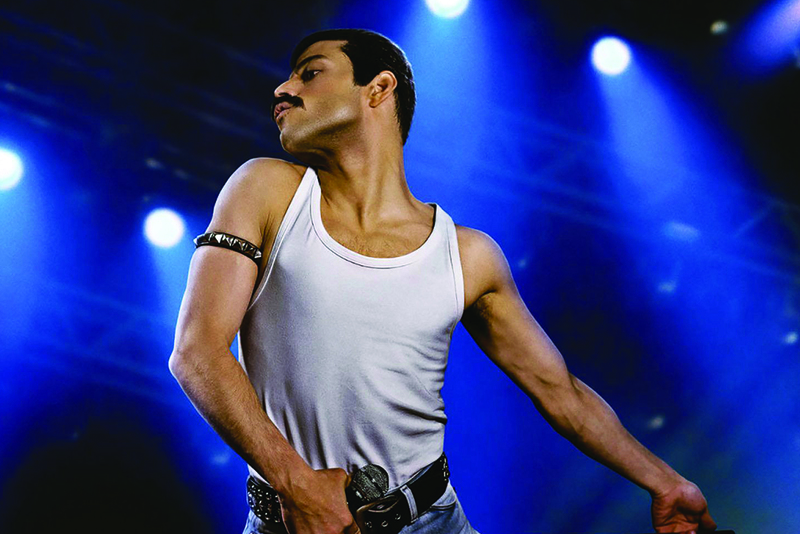 The film stars Rami Malek in the lead role as Freddie Mercury and he’s joined by Lucy Boynton, Gwilym Lee, Ben Hardy, and Joseph Mazzello. Despite all the drama about people wanting an R-rated heavy drama instead of a safe PG-13 movie, as well as the change of directors, this film isn’t a flaming mess. It goes through a typical music biopic checklist so no matter how stellar the performances are it just couldn’t surpass the generic track it was set on. There are also some liberties taken with the material, as usual, to fabricate a more straight-forward story for the masses. Having said that, the film is still quite riveting because of the performances and the music. Queen’s legendary hits help to breathe soul into this film. It definitely could’ve been better, but the music and how its performed by the actors in a cinematic setting is pure fun, especially for Queen fans. 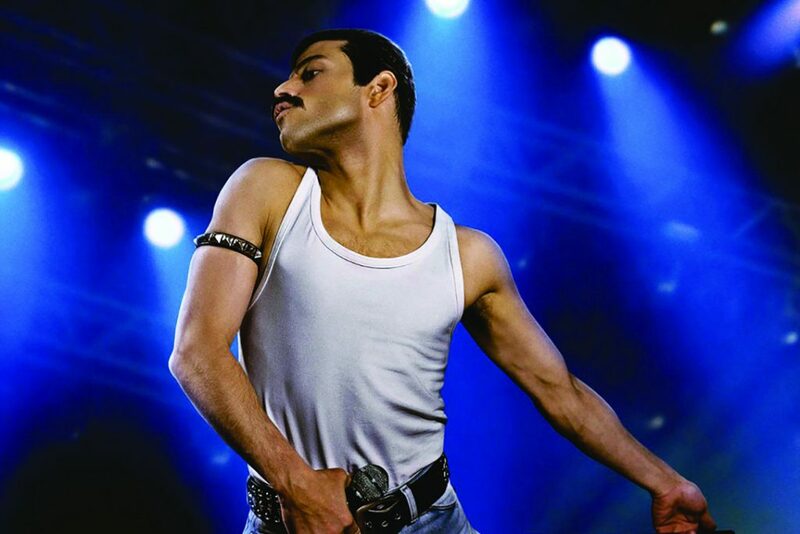 Rami Malek gives a fully committed performance playing Freddie Mercury who is possibly the greatest frontman who ever lived. He spent an incredible amount of time to get Mercury’s mannerisms down to a tee and he does the man justice on the big screen. Although there will never be another Freddie Mercury, Malek’s performance captures his energy and passion, especially on stage. History tells us that Mercury was more of an introvert offstage, which isn’t the case here. Malek plays him as more of an extrovert, which was definitely the choice of the powers that be. None of the other cast members are really given anything too significant to do, as the spotlight is on Mercury, but the rest of Queen played by Gwilym Lee, Ben Hardy, and Joseph Mazzello give a collectively fun, entertaining effort. Mike Myers also has a couple of scenes in the film as Ray Foster, making a few comments about “Bohemian Rhapsody” to harken back to his famous Wayne’s World scene where he rocks out with his crew to the epic song. There aren’t many music biopics that break the chains to really stand out because of the structure that’s been built for them so they can appeal to a more massive audience. 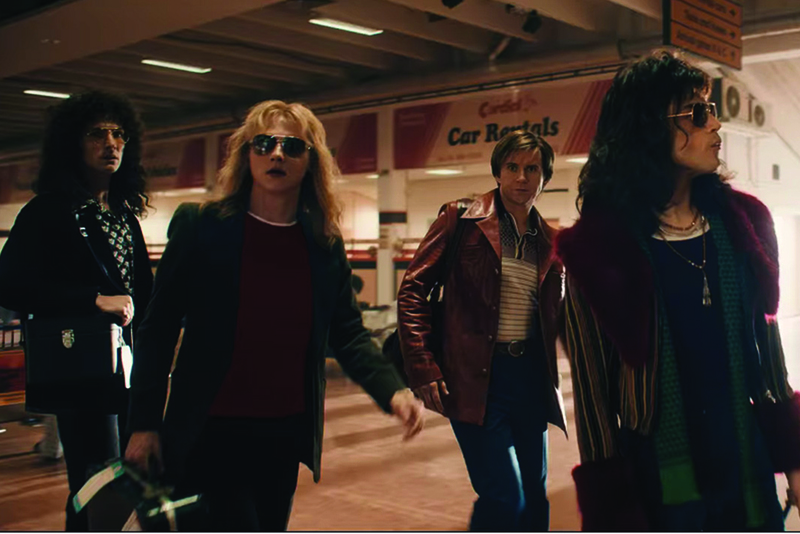 Bohemian Rhapsody is one of many music biopics tied down to the safe structure thanks to Hollywood. However even though it’s another victim of the Hollywood filter, it’s still fun enough to watch, but nothing more.